Description: Very decorative frontispiece from the atlas by William Hole and William Kip after Christopher Saxton for William Camden. Condition: Copperplate line engraving, later hand colouring, some original printer's creases as published. Repaired split to top left corner of margin, image unaffected. 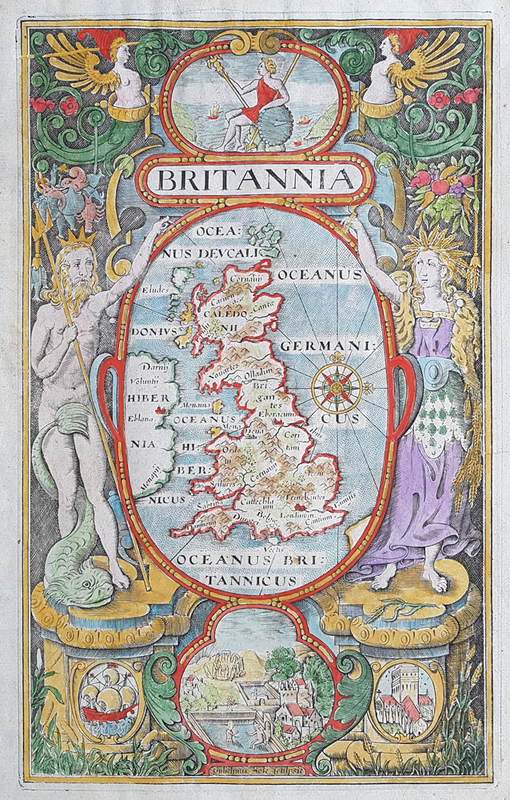 Early 17th century map of the British Isles by Saxton/Kip/Hole for Camden.